Want to know how to write romance that brings a mysterious and paranormal twist to history? 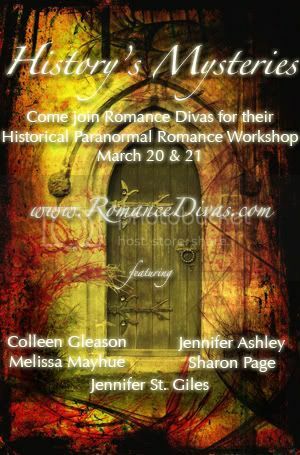 Romance Divas is hosting a 2-day workshop with some of the hottest names in the Historical Paranormal genre. It will take place at the Romance Diva Forum. All are welcome. To get access to the forum you will need to register.